If you're looking to start a culinary career, then getting your education is the first step. For many people, however, the cost of education can be a barrier to getting started. The good news is there are many ways to alleviate the cost of cooking school with financial aid. Read on to learn more. 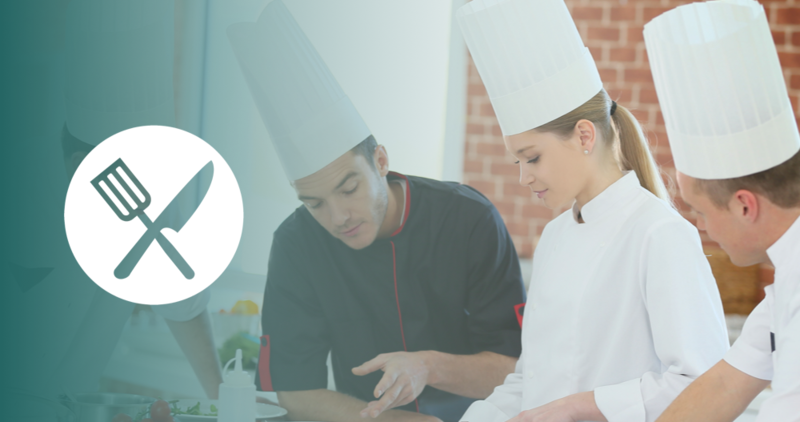 Find a culinary school near you. The two major types of financial aid available include government-funded grants such as the Free Application for Student Aid (FAFSA) and the Pell Grant. In addition, there are student loans available that require reimbursement. The majority of colleges have their own funds that can be applied for, whether it's a scholarship, grant, or loan. There are also state government and federal government courses. For many, grants are the most desirable option, because they don't have to be paid back. That means they don't accrue interest either. Two of the best options are the FAFSA and the Pell Grant. While student loans help cover the costs of school, they must be repaid over a designated period of time, with interest. These loans are typically offered at a lower rate than the market, so the payback isn't as intimidating. They do not reduce the costs of schooling overall; they just help with the immediate cost. The U.S. Department of Education offers the William D. Ford Federal Direct Loan Program, and the Sallie Mae Career Training Smart Option Loan is also available. Merit scholarships must be applied for at the culinary school you will be attending. The scholarships are awarded based on certain criteria set by the school. The American Culinary Federation Education Foundation annually awards a limited number of scholarships, and the Careers Through Culinary Arts Program (C-CAP) is available to those who participate in its competition. The Clark E. DeHaven Scholarship Trust, Colorado Restaurant Association Education Fund, Hungry to Lead, Hyatt Hotel Funds for Minority Lodging Management Students, and California Restaurant Association Education Fund are just a few more scholarships for students wanting to study the culinary arts. Each has its own set of guidelines and deadlines. Talk to your school’s financial aid officer to learn more about these and more. Not all trade schools qualify for government financial aid, so make certain to discuss viable options with the financial aid officer at your school of choice. Your school’s financial aid officer should be able to point you in the right direction. Use the search application on this site and choose a school. They will call you to answer all your questions including about financial aid. Up Next... What Is A Food Stylist?